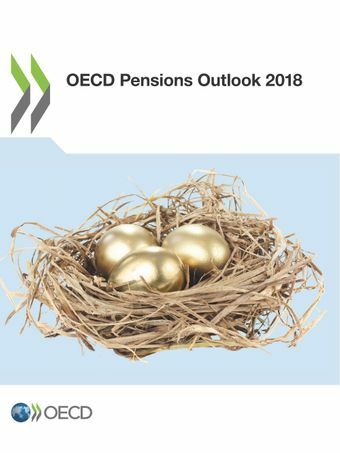 The 2018 edition of the OECD Pensions Outlook examines how pension systems are adapting to improve retirement outcomes. It focuses on designing funded pensions and assesses how different pension arrangements can be combined taking into account various policy objectives and risks involved in saving for retirement. It looks at how countries can improve the design of financial incentives, and presents policy guidelines on aligning charges and costs of providing funded pensions.This edition also draws lessons from nationally significant investment institutions on strengthening the governance, investment policies and investment risk management of pension funds. It provides guidelines on improving retirement incomes considering behavioural biases and limited levels of financial knowledge, and discusses the implications of mortality differences on retirement incomes across different socioeconomic groups. Lastly, it examines whether survivor pensions are still needed. Can countries improve the design of financial incentives to promote savings for retirement? Are survivor pensions still needed?